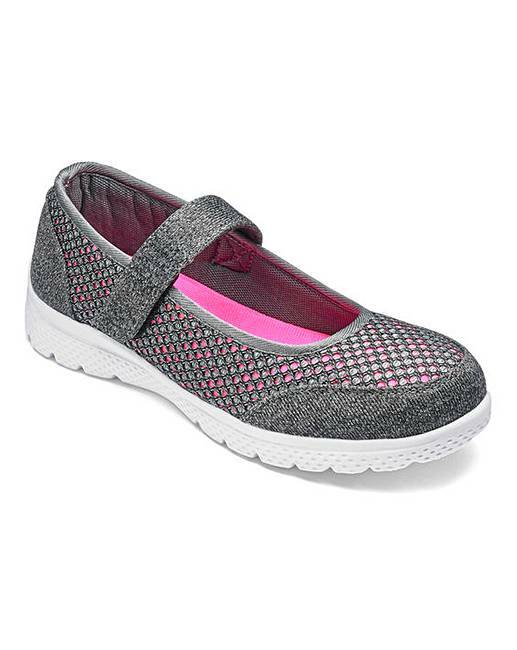 Cushion Walk Leisure Shoes EEE Fit is rated 4.2 out of 5 by 22. 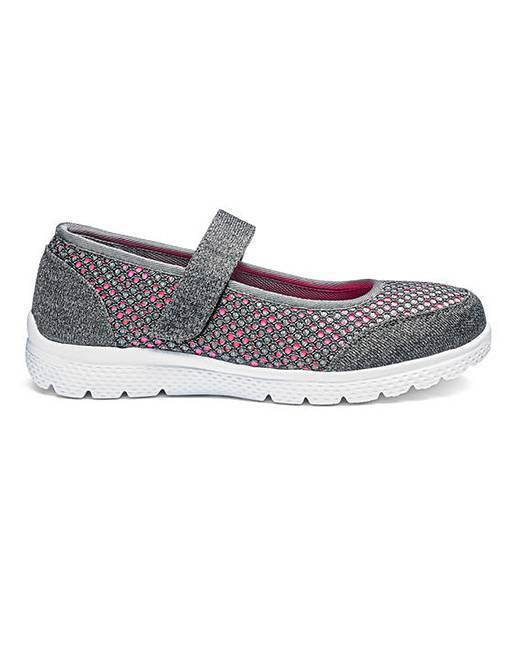 These lightweight and flexible shoes from Cushion Walk have a touch and close bar fastening for adjustability. 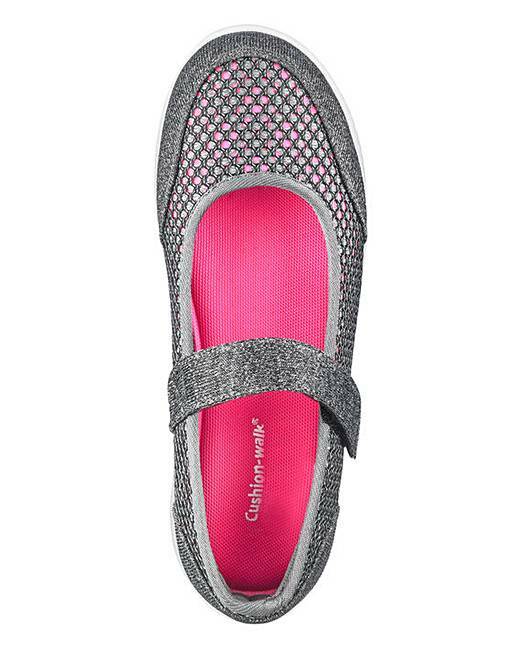 The mesh uppers and white sole create a stylish leisure look. Padded sock for underfoot comfort. Rated 1 out of 5 by Kazfaz69 from Very small fit Bought these in a wide fitting size 9, couldn't get my foot anywhere near them. Even my daughter who is an average 7 could only just get them on. Very disappointed. Rated 5 out of 5 by K Newman from Comfy casual shoe that fits well Having an extra wide foot means it is difficult to find shoes that I am confident will fit, both in a shop and online. I find this a real struggle, as even EEE fit often does not properly close and velcro fastenings will leave enough exposed edge to catch on the bottom of my trouser hem, for instance. Not with this shoe. The EEE fitting itself is wide enough, a little more snug than some other brands but don't get me wrong, it still fits nicely. What I'm really impressed with is the length of the band that fastens the shoe is long enough to really 'close', leaving no velcro exposed and so not only does the shoe look better and not as cheap as others, it does not have that annoying tendency to catch at my clothing. 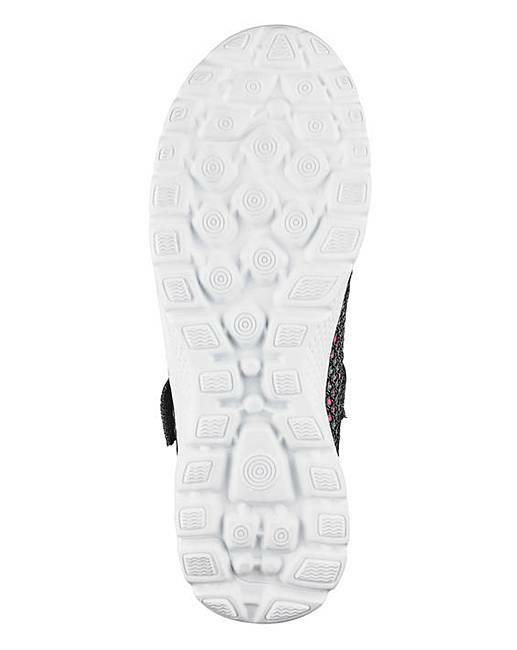 Nice cushioning on the sole as well, so good to walk on. I ordered my standard shoe length and the EEE width fit, and am very pleased indeed with the purchase. Rated 4 out of 5 by Suezq from Great colour combination I purchased this pair of shoes so pleased with fit I have ordered a second pair in a different colour. Rated 4 out of 5 by Lynn from Lovely looking trainers. Very nice trainers they come up a bit big so i would go down one size, also although a EEE fit they come up a bit narrow but they are okay on me.Very nice looking trainer and very cool. Rated 5 out of 5 by Joy from Comfy Shoes Bought these as the design is a bit different. good fit great colours.